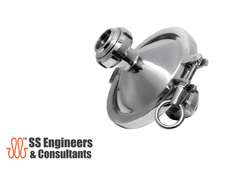 Providing you the best range of hygiene pipe line system, conical filter, ss pump housing clamp and simplex filters with effective & timely delivery. 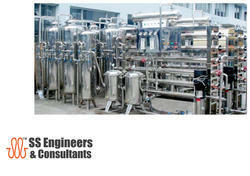 Keeping the track of latest happening in this domain, we manufacture and export the optimum quality of Conical Filter. Manufactured as per the industry laid norms, the rendered conical filter is used for various industrial filtration purposes. 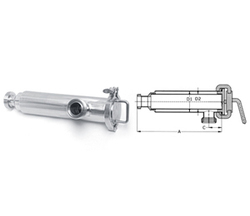 To meet the precise needs of our patrons, we render conical filer in various sizes and shapes. 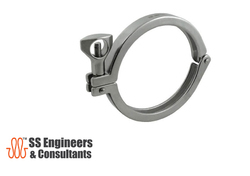 Owing to our immense years of industry experience, we are offering a huge array of SS Pump Housing Clamp. The offered housing is scrupulously tested on different quality parameters and is widely used for pump fittings. it is manufactured by utilizing best quality raw material and modern technology at our latest manufacturing unit. In line with industry norms, we offer the entire range in different customized options and at industry leading prices.